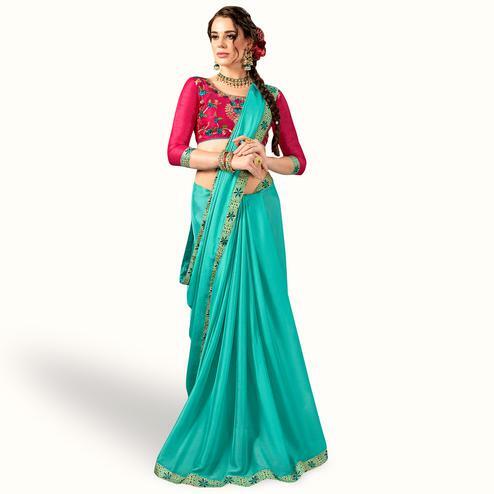 This sky blue color saree in banarasi silk fabric has been highlighted with zari weaving work in the form of leaf motifs at body, floral & zigzag design at entire broad border and geometrical stripes panel at lower end of pallu. 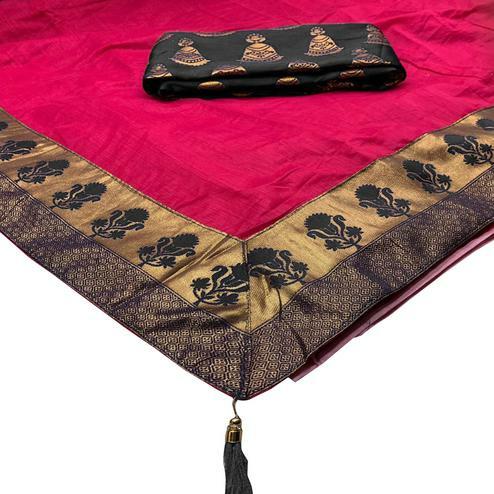 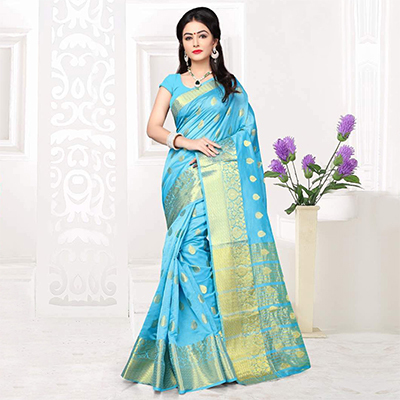 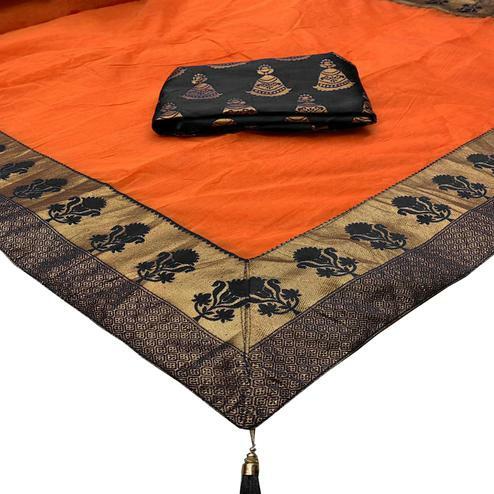 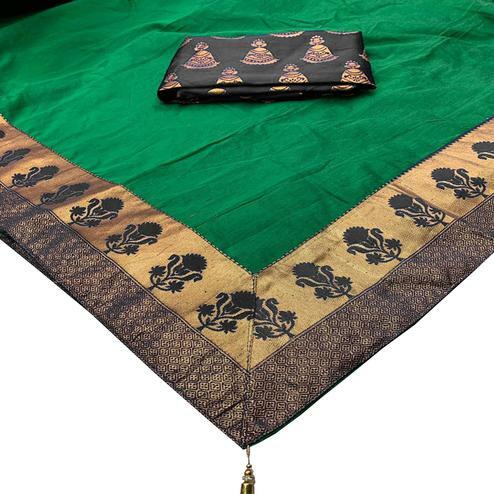 This saree is teamed with matching color and fabric blouse piece in unstitched type. 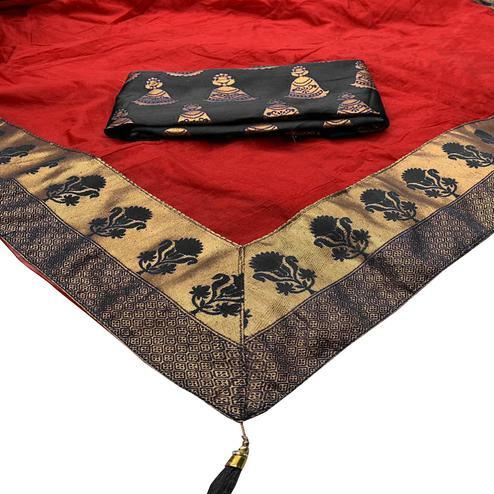 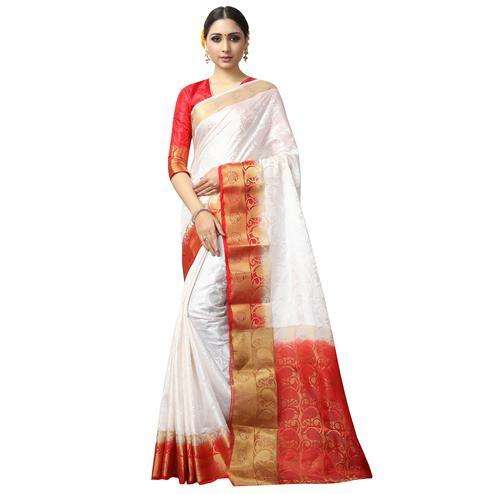 Women can wear this saree for parties, functions and special occasion. 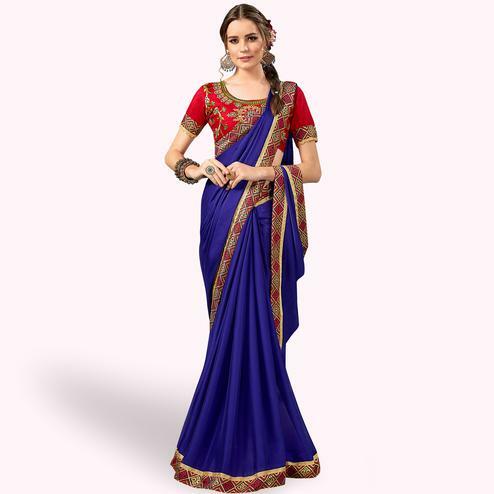 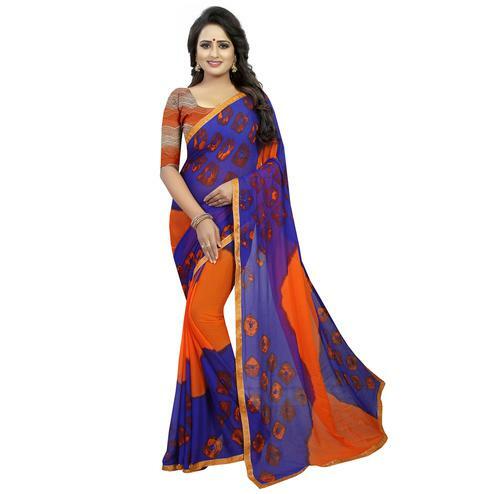 Buy this lovely color saree now.